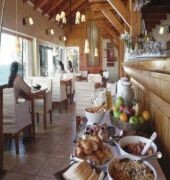 The hotel represents much more than a new accommodation option in San Carlos de Bariloche. It harmoniously combines excellent service with the individualised attention found exclusively in high range establishments. 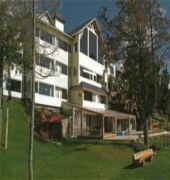 It was built in 2003 and renovated in 2007, and there are 12 guest rooms, all with panoramic views over Lake Nahuel Huapi. Facilities on offer include an entrance hall with 24-hour reception, a hotel safe, a currency exchange facility, a cloakroom, lift access, a cafe, a bar, a TV room, a restaurant, conference facilities, Internet access, room and laundry services, cycle hire and parking for those arriving by car. 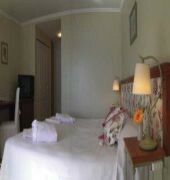 The rooms in the main building are 25 m in size and offer the best views of the lake. They come with everything guests might need for a pleasant stay, including an en suite bathroom with hairdryer, a direct dial telephone, satellite/ cable television, Internet access, a safe, king-size beds, central heating with individual temperature control and windows which can be opened and are double-glazed, to keep out unwanted noise. It is also possible to book rooms with connecting doors, which transform them into a 59 m suite with a living room and 2 bathrooms. Another striking feature of the hotel is its heated swimming pool, which blends perfectly into the surroundings. It has been designed to stay open throughout the year. Part of it is also outdoors, so that in winter guests can enjoy a dip even in the snow, as in a sophisticated ski resort. The hotel also offers parasols for sunbathing, a Jacuzzi, a gym, a sauna and a steam room, along with spa and massage treatments. Other activities on offer include diving, windsurfing, sailing, catamaran sailing, canoeing and cycling in the surrounding area.